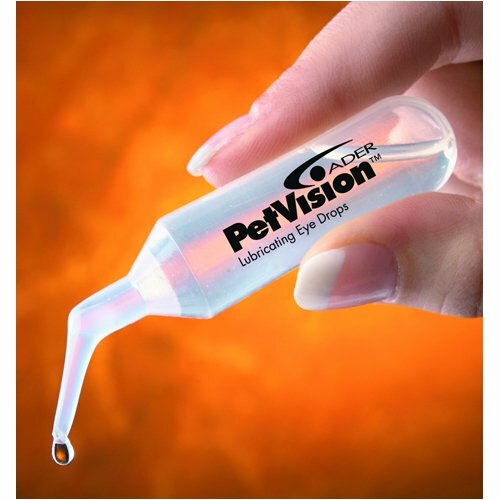 PetVision ophthalmic nutraceutical eye drops are an effective tool in assisting with the battle against many types of cataracts in companion pets. As a nutraceutical PetVision product helps address cataracts by using only natural ingredients, and whose main ingredients are amino acids commonly produced by all mammals. Patients tested for eye irritation, excessive tearing and change in inter-ocular pressure experienced no adverse effects. PetVision eye drops address Senile cataracts (age-related), Traumatic cataracts (resulting from a blow to the eye), Congenital cataracts (genetic predisposition), and Metabolic cataracts (due to diabetes, for example). PetVison eye drops are also an excellent pet eye lubricant and help with Dry Eye Syndrome (KCS) and Lenticular Sclerosis.